Microsoft Corporation is eyeing Windows 8 will be a trend setter by designed it for desktops, laptops and tablets at same time. Question is IT world will make it a success or not. Microsoft is lagging far behind in Mobile Operating Systems. Microsoft has confirmed the introduction of a Windows 8 will have Windows store, similar to the Ubuntu Software Center or Apple Store, that allows developers to publish their applications on Windows 8 devices. Windows 8 will allow users to create a bootable USB Flash drive (Live USB) with Windows 8 in it like ( This feature is from Ubuntu ). Windows 8 would come pre-installed with effective anti-virus software by default. 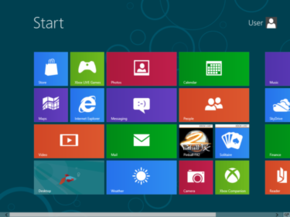 Windows 8 expected to release later in 2012 for Tablets and PCs.